BCDB Rating: 3.7/5 Stars from 12 users. This page has been viewed 45 times this month, and 4424 times total. Cartoon Characters: Bugs Bunny, Red Hot Ryder. Voice Actors: Mel Blanc, Robert C. Bruce. 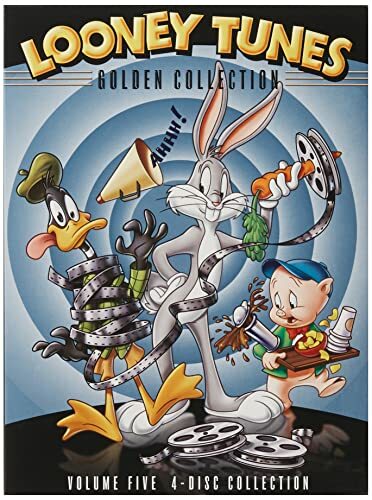 Animated By Manny Gould, Jack Bradbury, Robert McKimson, Thomas McKimson, Rod Scribner. Originally Released on August 26, 1944. Red Hot Ryder, the West's stupidest cowboy, tries to save the town from the Masked Marauder's carrot thieving. Bugs' first starring role in a Looney Tunes cartoon. This cartoon was also Leon Schlesinger's last on-screen credit. You can watch this cartoon today on your computer. Just click below to start viewing "Buckaroo Bugs" online now. Do you have anything to add to this page? Have we made any mistakes... or do you have any additional information about Buckaroo Bugs? If so, we would love to hear from you. Please send us a quick note with your additions or corrections to this page, and we will make the corrections as soon as possible! Below are comments about this cartoon submitted by people who have seen this show. Take a look and see what others have said about Buckaroo Bugs. We want to know what you think, too!! Feel free to share your own opinion- we do want to hear from you! You can add your own comments here. This is not Bugs' personality. However, I enjoyed the dopiness of Red Hot Ryder. Buckaroo Bugs by Big Cartoon DataBase is licensed under a Creative Commons Attribution-NonCommercial-ShareAlike 4.0 International License.